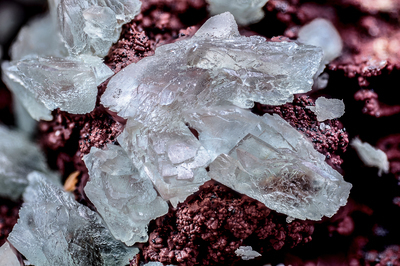 Light green crystals of austinite, easily recognizable by the crystalline habit for its belonging to the rhombic class 222, called sphenoidal. Collection and photo of Gianfranco Ciccolini. Nikon D750, bellows, Luminar 25 mm.